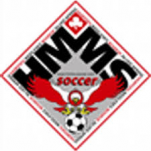 HMMS Mission Statement: A volunteer based organization, HMMS offers a strong character centered soccer program for children and families, developing sportsmanship and athletic skills, promoting The Beautiful Game and making memories that last a lifetime. For more information click here to go to HMMS web page or call (717) 763-0788. Special Needs Soccer Program: The HMMS Outreach Program for Soccer (TOPS) is a soccer program for children with special needs. A TOPS player is defined as any child (age 6-21) with a physical or mental disability, who would like to play on a team based on ability rather than age. Children with autism, cerebral palsy, down syndrome, wheel chairs, and other challenges have thrived in the program. Our goal is to enable players to develop their physical fitness, courage, and self-esteem through the game of soccer. TOPS sessions are held on Sunday afternoons at Creekview Park, Mechanicsburg, PA in the spring and fall. The TOPS program is open to any child, including children who live outside of the Cumberland Valley School District. For additional information and to register, please visit www.hmms-soccer.org and select the “Registration” button. You can also contact Eric Bowman at 123ericbowman@gmail.com or 802-6602 if you have any questions.